Sound Connections welcomes the publication of ‘The Importance of Music – A National Plan for Music Education’ and applauds all those who contributed to the Henley Review and the core team who have produced a very strong and coherent plan for music education in England. The central vision of the Plan is that children from all backgrounds should have the opportunity to make music and we are pleased to read that this must include those young people who are in challenging circumstances and who face particular barriers, whether physical or socio-economic. Much excellent work has been achieved across the country through the Youth Music Acton Zones and related projects and we look forward to developing the next phase of this work. The establishment of Hubs is central to the Plan and it is good that partnerships between a range of providers including arts and music organisations are acknowledged as key to the success of these. We are concerned however that, given the significant reduction in funding available, the suggested extension activities, and even some of the core work, will not realistically be achievable.We are delighted to see singing at the core of the Plan and, as lead provider of Sing Up in London, look forward to contributing to an effective strategy for the capital. The development of a music educator qualification for practitioners is welcomed and we hope that the non-formal and community music sectors are fully drawn into this process. It also excellent that quality CPD is recognised as an urgent issue. 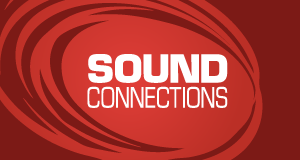 Sound Connections will be consulting with members on how best we can support and guide music leaders and organisations through the next stages. The role of technology is now more important than ever in engaging young people and we are pleased to see this acknowledged in the Plan. The creative use of online tools such as YouTube is central to this as well as the development of assistive technologies to ensure everyone can have access to composing and performing. We would ask that the small group of impartial experts who will make up the monitoring board includes someone with direct experience of working with young people. We would also hope that the suggested advisory groups for Hubs include young people on them. It is good to see that the Take it Away scheme has been opened up once again to young people but we are concerned that many of those from deprived backgrounds will still not be able to afford an instrument. Finally, we are delighted that the case studies reflect the full range of music making opportunities for young people and are especially pleased to see the work of Drake Music and Rhythmix featured. Sound Connections has produced a more detailed response to the Plan on how the non formal and community sectors can engage with it. You can download the briefing paper here. We will also be organising a series of opportunities for members to meet and discuss the implications of the plan further. If you have any comments then please do email our Director Philip Flood here or post your thoughts on our Facebook page. The full Plan can be read here.